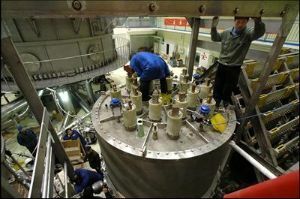 Technicians are installing the full superconducting experimental Tokamak fusion device in Hefei, capital city of east China's Anhui Province on February 4, 2006. 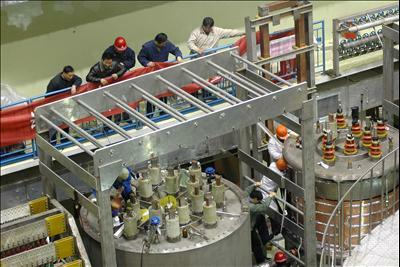 Most parts of the device have been installed and experiments will start soon. 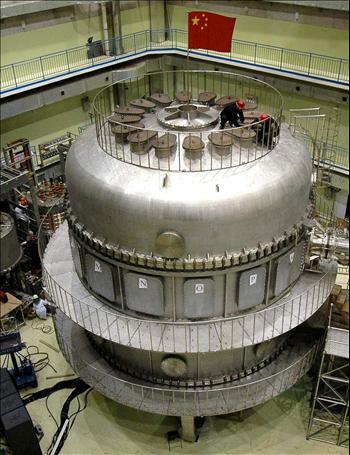 The full superconducting experimental Tokamak fusion device, nicknamed "artificial sun", can generate infinite, clean nuclear-fusion-based energy. It will be built in March or April in Hefei.